As some may remember, last November notice of a proposed liquor license/ tavern was sent to neighbors of 4001 N Broadway, the site of the former Arnold's. A little Internet detective work revealed that it was the Menetti family who were behind the license request. That would be the same Menetti family whose properties in Uptown (and other parts of the city) ended up in foreclosure, and whose poor management of Lawrence House and 4526 N Sheridan landed them in Housing Court and eventually led to a court-appointed receiver taking over the management of the properties. They are also the former owners of Green Dolphin Street, a club which Ald. Scott Waguespack worked to have closed due to several violent incidents. In December, Ald. Cappleman held a community meeting with neighbors of the property at Irving Park and Broadway, who overwhelmingly voted against the idea of issuing a liquor license. Ald. Cappleman requested that the liquor commission deny the license request, based on the feedback from that meeting. 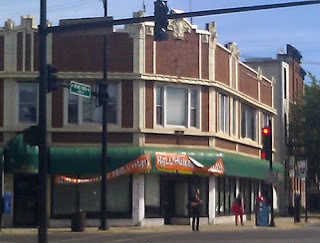 "Tavern license appeal hearing for 4001 N. Broadway is set for May 28th. Several months ago a group of Buena Park Neighbors met with Alderman Cappleman to raise their concerns about an application being made to the city to obtain a tavern license for the vacant space at 4001 N. Broadway. Based on the input from this meeting, Alderman Cappleman requested that the liquor control commissioner deny the requested license. Since then, the corporation that originally applied for the license has appealed the denial and have been given a hearing date of May 28th. We are letting know about this hearing as a public service to all residents of Buena Park and we encourage you, whether for or against, to attend this hearing to make your views known. If you would like more information on this, contact Alderman Cappleman and/or Buena Park Neighbors. RE: 13 LA 6, Broadway Tavern, Inc. 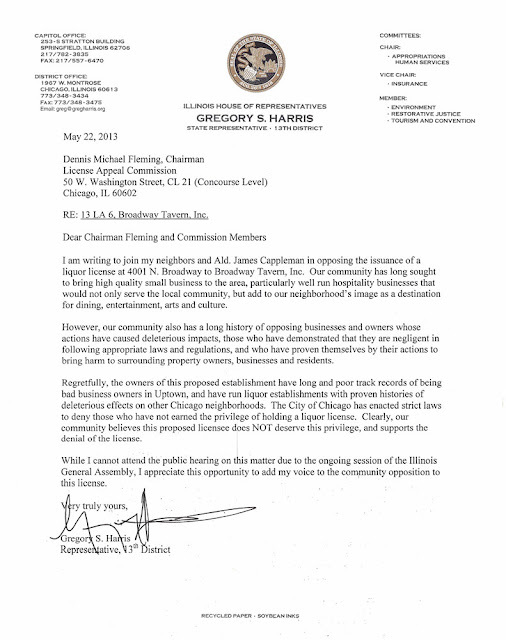 This letter concerns your written objection to the granting of a liquor license for the business located at 4001 N. Broadway. The business wants a license to obtain a Tavern license. I am an attorney for the City of Chicago, representing the Local Liquor Control Commissioner, Gregory J. Steadman, in this matter. I am contacting you because you wrote a letter to the Commissioner or signed a petition asking that the liquor license be denied because of the harmful effects that it would have on the community. As you may be aware, the Commissioner has in fact denied the license application, and one of the bases is that the sale of liquor at this location would tend to create a deleterious impact on the surrounding community. However, the applicant corporation has appealed the denial to the License Appeal Commission for the City of Chicago. The law requires that the License Appeal Commission hold a hearing to review the denial of the license. At this hearing, I will present evidence and testimony regarding problems in your community that are expected to arise if the license is granted. The hearing to review the denial of the packaged goods liquor license is set for Tuesday, May 28, 2013, at 1:30 p.m. in Room LL 02 (Lower Level) of the Daley Center, 50 W. Washington Street in downtown Chicago. Your attendance is requested to demonstrate to the License Appeal Commission that your community is definitely opposed to this license. The License Appeals Commission is strongly influenced by the number of community members who attend the hearing and testify as to why they are either in favor or against the issuance of a particular license. It is by no means a foregone conclusion that the denial of the license will be upheld. It is very likely that the liquor license will be granted if there are not enough community members at the hearing who are opposed to the license. I ask that you contact me as soon as possible if you plan to attend the hearing and would be willing to testify in front of the Commission. My telephone number is (312) 744-4030. If I am not available at the time you call, please leave your telephone number and the best time to reach you. We're not against new clubs filling empty storefronts, and we're not against liquor licenses being issued. However, we have serious doubts about this one. We have to look at the track record of the applicants, and in this case, that look takes us no farther than Lawrence House, which generated more 911 calls than any other address in the 20th Police District while it was under the management of the Menetti family. We look at the stabbings and shootings outside the Green Dolphin Street club while it was under the management of the Menetti family and ask ourselves if a club like that is a good fit for Uptown. We look at the many Housing Court appearances regarding the properties owned by the Menettis, and we look at the fact that the buildings began to improve only after the court took away the family's right to control their own properties. We know many of our readers work in the Loop, and ask that you consider going to Daley Center during your lunch hour on Tuesday, May 28th, to let the Liquor Commission know what you think about the proposed liquor license requested by the Menetti family for the "Broadway Tavern." Joey, there are many reasons to call 911. What about the many fires in Lawrence House, in which residents and firefighters were injured? What about the person who set his roommate on fire and killed him? What about the "guest" of a resident who allegedly mugged and pulled a gun on another resident, a case that's still winding its way through the courts? How about the fact that Com Ed turned off the heat due to non-payment, leaving a lot of seniors to shiver in the cold? What about the fact that Com Ed was unable to promptly turn the heat back on because someone had tampered with the meters? Nothing's wrong with calling 911, the problem is with a building that necessitates so many 911 calls. As Caring Neighbor has pointed out, there are many reasons to call 911, many of which speak to what poor landlords the Menetti family has been. Putting that aside, you are either naive or willfully ignorant if you don't see that criminal activity necessitating 911 calls has happened in and around Lawrence House. I have called 911 for what appeared to be drug sales going on outside Lawrence House. I have also witnessed prostitution right outside of Lawrence House. Of course, not everyone in Lawrence House is a problem, but some have been. Better management can help with problem tenants. Admittedly, things have been better at Lawrence House recently, but only after the Menettis were no longer in control. UU was making a very valid point about the Menettis' management. Joey, Lawrence House was such a nightmare during the Menetti reign that Thresholds stopped placing their clients there, and you know what hellholes they put their clients in. Like the former Hotel Chateau. I'm glad they sell rose-colored glasses at Family Dollar, but take them off, dude. Talk to some of the "Peer success" people if they still meet there and they will share many, many stories that will help validate what others here have alleged. Sexual assault on the elevator, using the fire escape to rob other apartments including GROCERIES , etc. I was a resident up until right before the receivership, I am actually someplace even worse but that's my own fault. People, I think Buena Park can handle it and although having enjoyed Arnold's for many years while living here I look forward to something new there. If the Menetti's are a problem we'll clean them up just like we have every other problem and business in the neighborhood. I disagree with BPNs position. It's the perfect location for a tavern, there is no residential immediately adjacent to the site and only some residential with several hundred feet in any direction from the site. I find it difficult to think the type of clientele that cause problems in Uptown will frequent this location -- if they don't appear to the quality clientele that live nearby they won't survive. Let it go. Give them the license and let's bring another tax paying business the the neighborhood and another business along a strip of Broadway that woefully lacks businesses and none that offer any real visibility late at night. So, "Joey", I guess this court case was just a frivolous one on the part of the City of Chicago? Your lengthy rants would seem to indicate, though you may be one of the good, properly behaved residents at LH, you don't want the building to close no matter how bad it is because finding another place to live would be difficult. I truly sympathize with your situation, but its the attitude of "as long as my life is running okay, screw the larger picture" that got that building and others like it (Hotel Chateau) into the situations they're in today. You apparently misunderstand what a "takings" means. Generally, if a property is zoned for a specific use, and the property owner desires to use the property for that use, but the government denies it, then we can argue it may be a takings. I don't rightly know if that particular building or area is zoned for the purpose of a club. However, denial of a liquor license is not considered a takings, even if the area is zoned for liquor sales. And that's because the license itself is based on specific requirements of the law. Takings means the government is taking away a certain right inherent in property ownership and use. A liquor license is not an inherent right. Joey, you can defend Lawrence House and your decision to live there all you want. The issue is that the community has the choice of whether we want that same caliber of (mis)management by the Menettis for a new club with a new liquor license. Here are some facts about how Lawrence House was managed by the Menetti Family. - "Lawrence House turned over to receiver due to 'emergency action resulting from the termination of gas service at 1020 W Lawrence last week." - "Both pastors have seen the building deteriorate since the Menettis bought it 10 years ago. They hear that apartments have become infested with roaches and rodents and bedbugs. The library where residents should be able to congregate smells like sewage and mildew, they say, with books warped by water that has seeped through the ceiling." - "A Lawrence House resident for five years ... carries scars from the [bedbug] bites. To prevent more bugs, maintenance sealed the cracks between the walls and floor with duct tape. She insists that many of the elderly residents struggle with respiratory ailments, exacerbated by age, but also by conditions in the building such as mildew, mold and dust from crumbling plaster. She blames the Menettis." - From a resident who went to the court hearings: "The water pouring from the light socket on the first floor has spread, and now the library is usually unusable... The fire alarms on several floors are so old that there are no longer parts being made for them, so they can't be repaired. The residents keep destroying the garbage chute springs and creating a fire hazard." - Police Officer, Resident Hospitalized After Lawrence House Fire. - "A resident was critically burned in a fire at Lawrence House (1020 W Lawrence) today." Lawrence House Fire: No Fire Alarms. - Lawrence House: 46 Code Violations and a Suspicious Fire. "Lake Effect News reports that Lawrence House had no "life safety plan" in place for residents." - Another Fire At Lawrence House, Today. "Four injured from smoke inhalation." - "The carpet is dirty, the paint is peeling from the walls and some windows don't open or lack screens. According to court records, the property has dozens of city code violations including problems with electrical wiring, collapsed and loose plaster, and poor emergency signage for the elevators. In May, Peoples Energy disconnected the gas to the building, leaving residents without heat and hot water for more than a week." - As for the attack on the resident by another resident's guest, severely traumatizing her, it's still in litigation, so I don't feel it's appropriate to name names while it's in pretrial. Ask around. Blah blah blah blah blah blah blah. 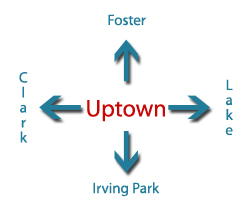 Your conspiracy theory is something you clearly have put a great deal of effort and time into formulating, but UU isn't exactly into property takings claims (which don't hold water in instances where the Court has found that the public health and welfare is greatly and adversely impacted by a property owner's failure to abide by well-founded regulation). And you don't qualify for "property takings" to begin, since you apparently rent in Lawrence House--time to put that horse in the stable, cowboy. As others have pointed out to you before, UU is a community blog, not a news organization with reporters. UU and its readers gather information from a variety of reputable sources that are verified, and nearly everyone who posts in here goes by a "handle" instead of their real names in order to protect their own privacy and safety from kooks like you. A lot of us realize that you probably have a lot of time on your hands to flesh out your theories, but the cold hard reality here is that there is a long, clear, extensive public record of the Menetti's mismanagement of buildings and businesses...and after this neighborhood has fought to get them to do the right things for the right reasons, and the Menetti's have failed to live up to their obligations to their tenants, to their clients, to their neighbors, and to this City, we are well within our rights to say that we don't want any more of their B.S. deposited in Uptown. And we don't want to have to clean up after them again. They are not welcome, but others who haven't played the game of "fool me once, shame on you, fool me twice, shame on me," like the Menetti's have done repeatedly, are welcome to cast their lots with us to make Uptown a better place. I know that you can find an internet conspiracy theory page that will tell you what you want to believe, and I'm sure that you'll be better read there. Have it, and good luck. Joey , your sharp mind clearly can take you beyond this existence of yours. I think we have met and I can attest to that. I'd have no problem with a liquor establishment at that corner. However, and there is often a however, given their history of running problematic businesses I'd have to say I'm not thrilled with the prospects of the family Menetti running the joint. Perhaps if they partnered with an individual or entity with a less "well documented" history I'd favor it. 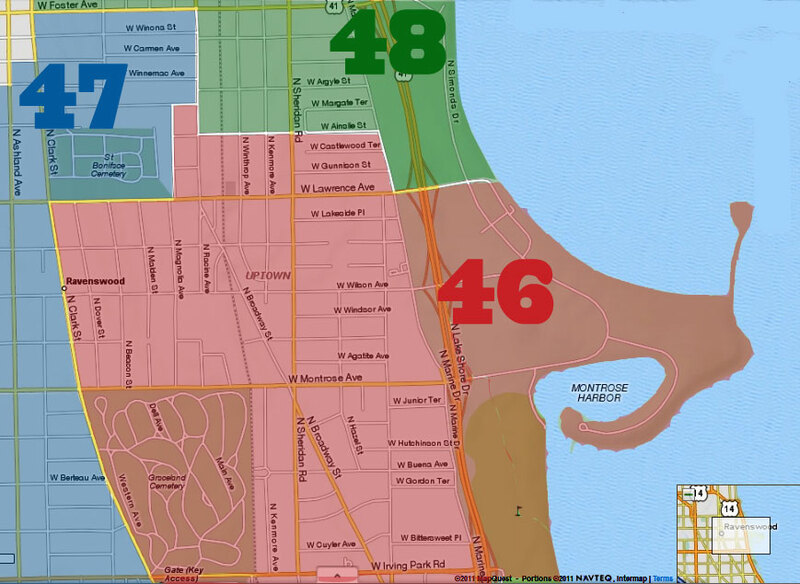 Realistically the bar would likely appeal to the folks in the northern part of Lakeview and southern Buena Park. A well run bar there would be a good thing. How late does it plan on staying open until? I'm not sure Uptown needs more booze outlets. The two bars on Clark St. get a large amount of 911 calls. Especially near closing time. That's the most I have seen Caring Neighbor in a discussion on UU, but there are probably other instances. Yes the Menetti brothers were poor landlords. ORP is trying to stop Astor House in Rogers Park from being fixed up. The Menetti brothers don't deserve a liquor license. Joey, this doesn't have anything to do with the condition of Lawrence House. It has to do with whether the Menettis deserve a liquor license. I think Joey is defending his home and is rightly worried about where he'll go. That said, there's no excuse for the way the Menetti's ran Lawrence House. There are a lot of good reasons to distrust government and their intentions when it comes to property development. The flip side of this is government's role in allowing the buildings and living conditions to deteriorate in the first place. Many people might not realize that the city inspectors and housing committee are influenced by elected officials. If one, our former Alderman perhaps, had a reason to let things continue, they will. Inspectors won't come out. Or if they do, they might not "see" anything wrong. Even if they cite violations, there are many ways for property owners to avoid addressing them. See the multiple code violations at Cornerstone, the many years they went unattended and the extensions they were granted to address safety violations including failing to meet fire code regulations. Many community residents appealed to the city council year after year, went to chambers to make testimony and watched while their political representative whispered in council members ears and another extension was granted and dangerous living conditions were allowed to continue. Maybe the question isn't whether there's an ulterior motive in addressing these concerns now. Maybe it's coming to terms with what the motive was to let them get this bad in the first place. Or maybe it's a little of both. But none of that takes away the fact that this is a building with structural issues, mold, water damage and vermin of all sorts. Government intentions are murky, depending on who is in office and the issues of the day. But the Menetti's intentions and not. They've clearly demonstrated they care only about spending as little as possible and making as much as they can.